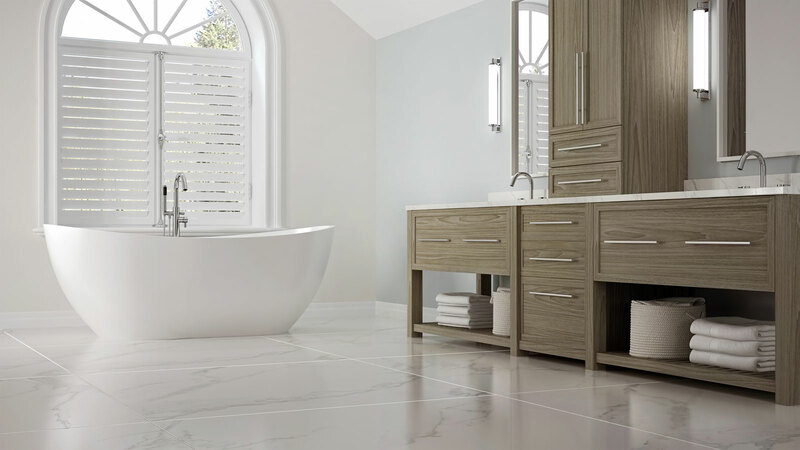 For over 25 years, Tafisa has always striven to do more, to inspire excellence. Today, we are innovating again by adding a complete matching line of SURFORMA® brand HPL to our Sommet® and Prelude® TFL Series. Made from the same texture plates and the same printed decors, we now offer the perfect match at one address. Inspiration starts here. Tafisa® has developped the best matched TFL-HPL program in the industry. A total game-changer! Branded SURFORMA, the HPL is manufactured by Tafisa’s sister company, Sonae Indústria de Revestimentos (SIR). 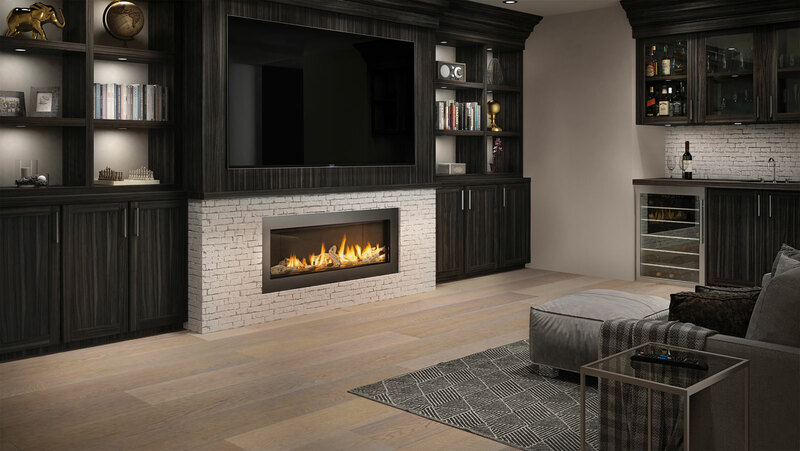 It is a complete, harmonized line of HPL to our TFL Prelude and Sommet embossed in-register (EIR) Series. 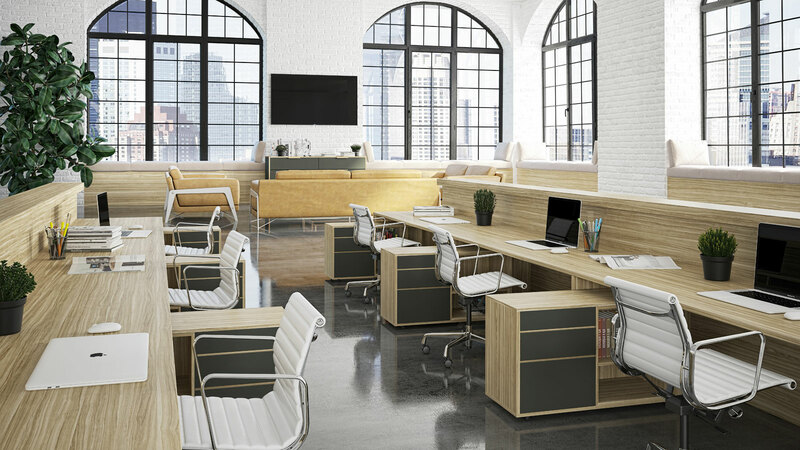 Tafisa® particleboard panels are manufactured using 100% recycled and recovered wood materials, meticulously selected to create high quality, consistent panels for furniture, millwork, cabinetry and countertops. 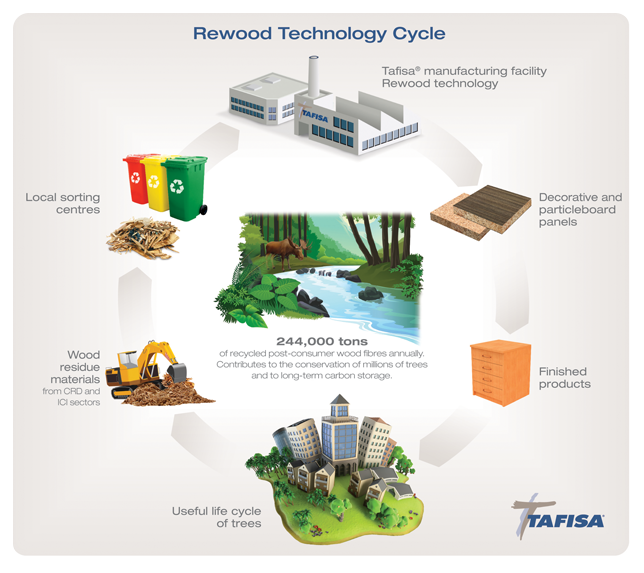 In 2005, inspired by the European model, Tafisa® developed a visionary long-term investment plan to secure its future and that of its employees; rather than staying in the traditional forestry sector, Tafisa®Canada decided to adhere to the 3 RV-E hierarchy, investing in green technology in order to further enhance its capacity to recycle wood materials derived from the CRD and ICI (industrial, commercial and institutional) sectors. This marked the beginning of the RewoodTM era, an innovative plan that would enable the company to develop a new green source of supply.